My name is Shae Spencer, and I am a Senior in my last semester at Grand Valley in the Film and Video program. I am writing to express my concern and outrage over the recent actions taken by certain GVSU administrators in regards to the December 4, 2013 Lanthorn editorial by Lizzy Balboa, as illuminated in her follow-up editorial published this past Sunday. Grand Valley administration is completely within their rights to rebut Ms. Balboa’s arguments in a public and professional capacity. If only they had conducted themselves as such. It is mind-blowing to me that a high-level administrator would take it upon himself to call a student’s personal cell phone number (instead of her official number, listed clearly and prominently on the Lanthorn’s site) and proceed to make the remarks he is alleged to have made. That he was determined enough to find this information demonstrates a disturbing level of pre-meditation. There is also readily available to the public a response issued by two other administrators, in which the scholarship money Ms. Balboa and other like-minded individuals enjoy was called into question, in language which, in the opinion of a bystander like myself, constitutes a thinly-veiled threat. The actions of the several GVSU administrators involved in this case could rightly be construed as harassment or even intimidation. The issue has by now caught the attention of FIRE, the Foundation for Individual Rights in Education, a watchdog organization which has contributed to such prominent publications as The Huffington Post. Perhaps they will see fit to bring this free speech issue to national attention, as they did with their damning “10 Worst Colleges for Free Speech.” Could Grand Valley’s name grace a future list of this sort? 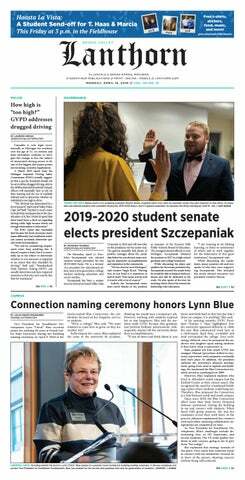 The administrators involved should consider themselves morally and professionally obligated to issue a public apology to Ms. Balboa in particular, to the Grand Valley journalistic community, and to the Grand Valley student body at large. If these individuals truly feel that those with opinions running counter to their own should shut up and turn in their scholarship money, perhaps I should comply. My name is Shae Spencer, and my G-number is G00769934. I trust this information will be enough to go off of. As an experiment, I will not include a personal email address or phone number. Who knows? Maybe I too can enjoy the privilege of a hot-headed personal phone call or some strongly-worded emails from top-level GVSU officials.